It’s what Saturday lunchtimes were made for. For many years filling the 1 to 2 p.m. slot on Radio 1 was an hour of music and comedy pulled together by Adrian Juste. Think hit records from Kim Wilde and The Eurythmics interspersed with clips of Hancock and Bob Newhart and the occasional specially written sketch. That mix of pop and comedy had been inspired by Jack Jackson’s ‘record roundabout’ shows on the Light Programme and Radio 1. Jack’s final show, a Bank Holiday special on Radio 2, had aired in 1977. Adrian’s shows became a fixture on most Saturdays between 1978 and the start of 1994, though for a while in the mid-80s he was moved to Sunday mornings and later Sunday afternoons. 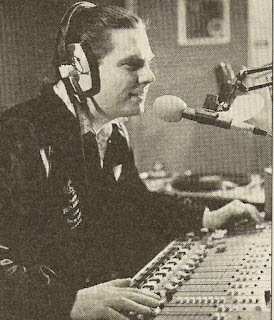 The Saturday shows benefitted from going out in stereo on VHF, at the time a scare resource for Radio 1, whilst over on Radio 2 we had comedy such as The News Huddlines and then the first half-hour of Sport on 2. 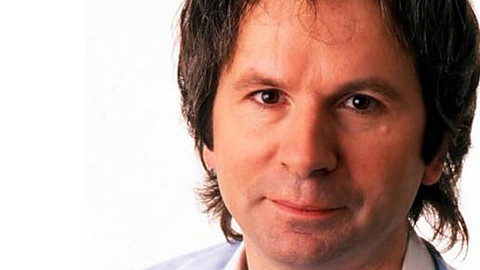 Juste was the voice of Radio 1 for nearly 17 years. Programme trailers, campaign promos and those Roadshow intros (“today live from the boating lake, Cleethorpes…” etc. ), he did them all. In addition he often provided the technical support, playing in the records or on standby at Broadcasting House during an OB should the line go down. Not forgetting a fair few New Year’s Eve Party shows too. No wonder Adrian was bitter was he was given the boot as part of Matthew Bannister’s DJ cull in 1993. 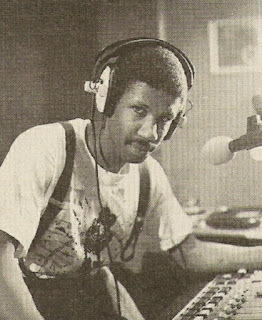 And this is Adrian in the early days with a Saturday lunchtime show from 14th November1981. Juste has appeared on the radio intermittently since leaving Radio 1, most recently on BBC Radio Devon with a 2012 Christmas special offering much the same mix as before. It was High Noon in Hull. Viking versus Humberside. 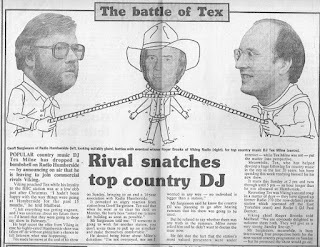 The battle was over country music presenter Tex Milne. 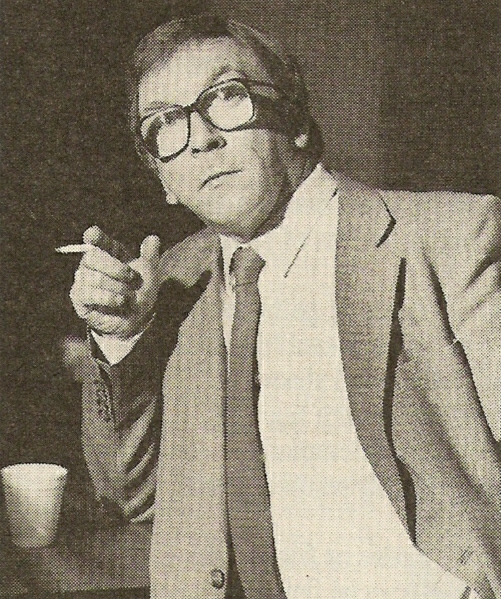 Tex had long been on the BBC station and, as the Hull Daily Mail of 16 January 1986 reported, he had “dropped a bombshell on Radio Humberside by announcing on air that he is leaving to join commercial rivals Viking.” Apparently he’d been feeling “uncertain” about his future and had heard that he was due to be dropped by boss Geoff Sargieson. For Viking’s manager Roger Brooks it was the second coup that month as they’d also secured the services of Paul Burnett. Country music shows were not uncommon on the early ILR stations with their public service remit. 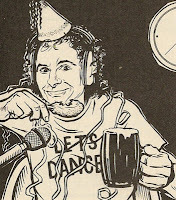 From day one Viking Country was hosted by Pete Ryan but it seems he was dropped a couple of years later. I’ve no idea why or indeed what happened to him after that. Meanwhile Tex Milne (was a country music presenter better named, though I’m guessing it wasn’t his actual name) was already well known for presenting Country Music Time and had been with Humberside since 1972. He was a storeman with a Hull based company but his interest in country and western dated back to 1959. For a while he worked in a record shop and in 1968 was compering at the original Hull Country Music Club. It wouldn’t be too many years before Viking, along with many other commercial stations dropped their specialist music shows. Meanwhile over on Radio Humberside regular Sunday country music shows continued with Tammy Cline and later Bob Preedy. TV has only rarely used a radio station as a setting for comedy or drama; perhaps it’s not a glamorous enough setting. Off the top of my head I came up US offerings of WKRP in Cincinnati, Midnight Caller (overdue for a repeat surely), News Radio (recently on Sony TV) and, of course Frasier. In the UK there’s been Shoestring (‘The Private Ear’), Agony and Ken Stott in Takin’ Over the Aslyum. No doubt you can think of a few more. 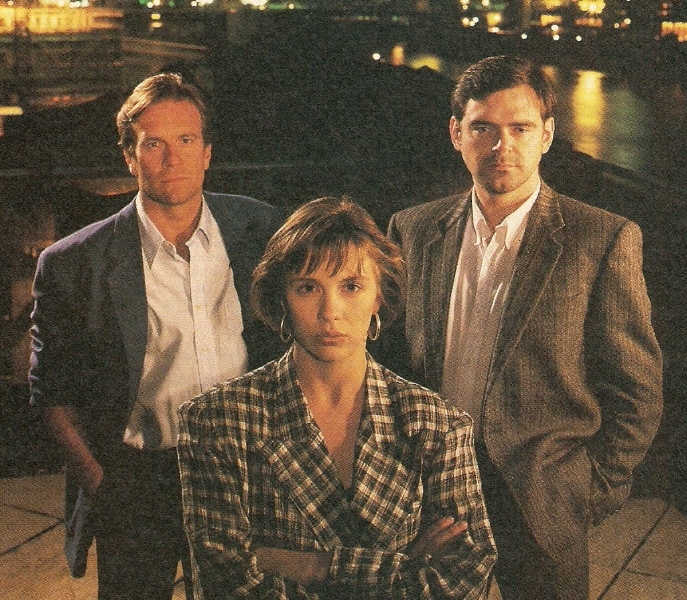 One ‘forgotten’ series is Thin Air set in the fictitious Urban Air radio station in which intrepid news reporter Rachel Hamilton (played by Kate Hardie, left) uncovers local corruption. In 2008 the Guardian’s Gareth McLean wondered about the TV shows that time forgot and of Thin Air wrote: “I remember bits of it vividly - mostly the sometime Communards collaborator Sarah Jane Morris lying dead in a radio studio. I also recall having a crush on Hardie but that's less relevant here." McLean's post continues: "Obviously now, thanks to IMDb, I know there was much acting talent involved in the drama including Robert Pugh, Kevin McNally and Clive Merrison (who, his turn as Sherlock Holmes aside, always seems to play a baddie). 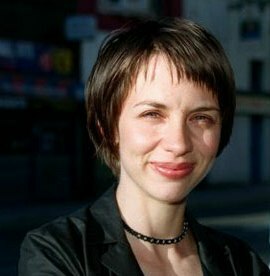 And it was directed by Antonia Bird, who went on to direct Priest, Care and The Hamburg Cell. But it's so obscure that it doesn't even have a Wikipedia entry and there's not a whiff of it on YouTube. Thin Air was one of those dramas that vanished into, well, the ether”. Thin Air could hardly be more rooted in the present. Set in a commercial radio station in an enterprise zone called ‘Riverside’, it involved property development on a massive scale, the disruption and forced exodus of a local community, the stripping away of local authority powers, left-wing activism, designer drugs, media hacks.